‘The pope cannot impose commandments on faithful Catholics because he wants to or finds it expedient. Such a modern, voluntaristic concept of authority can only distort the true theological meaning of the papacy. The true nature of the Petrine office has become so incomprehensible in the modern age no doubt because we think of authority only on terms that do not allow for bridges between subject and object, Accordingly, everything that does not come from the subject is thought to be externally imposed’. 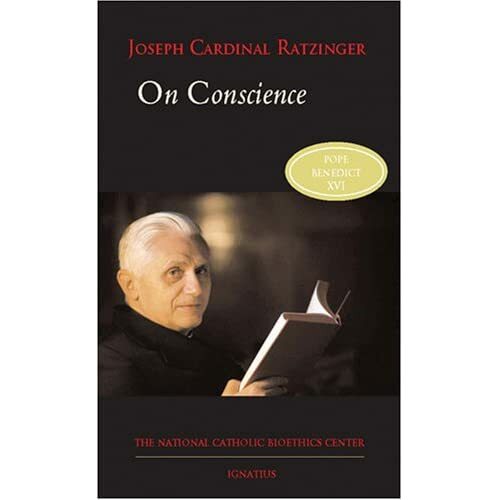 – Joseph Ratzinger, On Conscience: Two Essays (Philadelphia/San Francisco: The National Catholic Bioethics Center/Ignatius Press, 2007 ), 34. If nothing else, these words ought to encourage Protestants (and not least pastors, many of whom secretly aspire to be popes) to do the same work that Ratzinger is attempting to do: to think (and to keep thinking) about the nature and source of authority, and about the relationship between the Gospel and the offices of the church. Peter Taylor Forsyth was born May 12, 1848 in Aberdeen, Scotland. The son of a postal worker and a maid, he was raised as a member of the Black-friars Street Congregational Church. His family was devout, if not affluent. In spite of his family’s modest means, he was able to attend the university where he achieved an enviable reputation as a student. In young adulthood, Forsyth was greatly influenced by the thought and writings of both F. D. Maurice and Albrecht Ritschl. He would have opportunity to study under Ritschl for a term at Gottingen. In his early ministry, he gained notoriety for his liberal theological views and his “‘loud’ dress and unpredictable pulpit utterances.”After serving in several pastorates, he was named principal of Hackney College in London in 1901, a position that allowed time for extensive writing. At least part of the reason for this move was the belief that the academic lifestyle would place less strenuous demands on his frail health than the pastorate. I first became acquainted with Forsyth reviewing Positive Preaching and the Modern Mind during my first semester in Ph.D. studies. I delved deeper into Forsyth’s thought when writing a dissertation dealing with preaching Christ in the Postmodern era. The one contribution that sticks out above all others is his insistence that one remains relevant to his times by keeping his focus on the unchanging Christ. He urged preachers to “preach to their age without preaching their age.”In Christology he sides neither with those who quested after a historical Jesus nor with the idealists who heavily emphasized the divinity of Christ. Neither adequately expressed Christ’s dual nature as both God and Man. In Forsyth’s earlier writings, he placed Christ at the center of his theology. In his later development, he sees Christ’s ministry on the cross as the central focus for theology. There was a time when I was interested in the first degree with purely scientific criticism …. It also pleased God by the revelation of His holiness and grace, which the great theologians taught me to find in the Bible, to bring home to me my sin in a way that submerged all the school questions in weight, urgency, and poignancy. I was turned from a Christian to a believer, from a lover of love to an object of grace. And so, whereas I first thought that what the Churches needed was enlightened instruction and liberal theology, I came to be sure that what they needed was evangelization. Forsyth wrote sixteen books, five of which deal explicitly with Christ or christology – The Person and Place of Jesus Christ, The Cruciality of the Cross, Christ on Parnassus, The Holy Father and the Living Christ and The Work of Christ. His 1907 Beecher lectures at Yale University have been preserved in book form as Positive Preaching and the Modern Mind. He speaks of finding his true and magnetic north in Christ and dedicates the book, “Unto him who loved me and gave himself for me.” Like most of his other works, Positive Preaching was a series of lectures which were compiled into book form. Subsequently, Forsyth lays out no major systematization of his thought. Part of this lacking is attributed to Forsyth’s reluctance to over-simplify the complex. Similarly, his writing is often difficult to understand. This is perhaps by design so as not to state the complex too simply. Forsyth’s most significant contribution to the field of homiletics came in 1907 with his Beecher lectures at Yale. In them, he coined many phrases which are still quoted in homiletics classrooms and in preaching conferences today. He defined preaching as the “organized hallelujah of the believing community,” and he maintained, “With preaching Christianity stands or falls because it is the declaration of a gospel…. It is the Gospel prolonging and declaring itself.” Maintaining that the Bible is the “greatest sermon in the world,” he urged preachers to preach expository sermons using long passages of Scripture. Forsyth’s theological understanding of the preaching event centers in his understanding of kerygma as the Spirit of the risen Christ revealing the meaning of His death and resurrection to the apostles whose writings are then understood as revelation. Such an understanding runs counter to the liberal schools of thought of his day which maintained that the apostles perverted the simple message of Jesus into a system of doctrines which he never intended. According to Forsyth, the Bible should not be reduced to a casebook of sterile doctrines and regulations. Instead, one should listen for the voice of Christ Himself preaching through scripture. As Christ’s work of redemption is the center of faith, the center of the kerygma is the cross. Such an understanding of revelation means that the preacher stands more in the tradition of the Hebrew prophet bringing a revelation from God, than that of the Greek orator bringing inspiration. If one hears the voice of Christ speaking through scripture, it stands to reason that in the preaching act, it is Christ’s voice which should ultimately be heard as well. The New Testament (the Gospels even), is a direct transcript, not of Christ, but of the preaching about Christ, or the effect produced by Christ on the first generation, a transcript of the faith that worshipped Him. It is a direct record not of Christ’s biography but of Christ’s Gospel, that is to say of Christ neither as delineated, nor as reconstructed, nor as analyzed but as preached…. The stories told are but a trifling selection, not chosen to cast light on the motives of a deep and complex character, but selected entirely from a single point of view– that of the crucified, risen, exalted, preached Saviour. If Forsyth views the cross of Christ as the final seat of authority, and uses the cross as the hermeneutical norm for his theology, that authority ought to be manifest through both the person and the proclamation of the preacher. It is Forsyth’s contention that, “It is authority that the world chiefly needs and the preaching of the hour lacks – an authoritative Gospel in a humble personality.” He decries the sentimentality with which the modern mindset tended to view the Bible and religion. He blames much of this sentimentality upon “The loss of a real positive authority, the loss of an objective grasp of the world’s moral crisis in the Christian Centre of the Cross.” In sentimentalizing the cross, the Bible, and the atonement, the focus has shifted from God to humanity. When a modern mind asks us for help to a footing we still turn to men of science, to men often who evidently never in their lives read a theological classic or an authority on moral philosophy, who indeed might scout the idea, and we ask them to assure the inquirer, with a certainty beyond ours, that things promise well for a soul…. 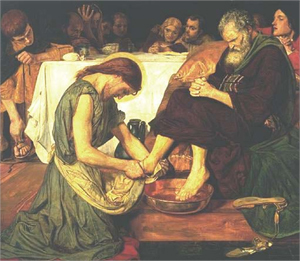 Is it not a nervous and pusillanimous Christianity, devoid of self-respect? How can we hope to regain the influence the pulpit has lost until we come with the surest Word in all the world to the guesses of science, the maxims of ethic, and the instincts of art. One uses the Bible to preach the gospel rather than using the gospel to preach the Bible. “We do not treat the Bible aright, we do not treat it with the respect it asks for itself, when we treat it as a theologian, but only when we treat it as … the preacher in the perpetual pulpit of the church,” asserts Forsyth. Neither do preachers treat the Bible with the respect it deserves when they sentimentally pay homage only to its beauty and its precepts. Instead, Forsyth encourages preachers to concentrate on the content of the Biblical message. He recognizes that the vital question for preaching in his context is the question of authority. He asserted, in his day, that criticism no longer allowed the Bible to hold that place. “Yet,” he says, “the gospel of the future must come with the note of authority.” The Gospel itself carries this needed authority. After denying that authority comes through creeds or theology, he states, “The preacher does not call one to believe statements, but the Gospel of an urgent God.” Forsyth maintained that the “one great preacher in history is the church,… And the first business of the individual preacher is to enable the church to preach.” Indeed, Forsyth provides a model of one who, by focusing upon the centrality of Christ and the cross preached to his times without preaching his times. While most scholars writing about Forsyth note the influence of F. D. Maurice, W. L. Bradley indicates that the influence of Maurice upon Forsyth is probably overestimated. See William L. Bradley, P. T. Forsyth: The Man and His Work (London: Independent Press, 1952). Samuel J. Mikolaski, “The Theology of P. T. Forsyth,” The Evangelical Quarterly, 36 (1964), 27. The use of the term “liberal” in this article is not done pejoratively but as an attempt to define a historic theological position. John H. Rodgers, The Theology of P. T. Forsyth (London: Independent Press, 1965), p. 77; see also Gwilym O. Griffith, The Theology of P. T. Forsyth (London: Lutterworth, 1948), pp. 36-60. John E. Steely, “Introduction,” in P. T. Forsyth, The Cruciality of the Cross (Wake Forest, North Carolina: Chanticleer Press, 1983), p. 5. Forsyth first published these lectures in 1909. P. T. Forsyth, Positive Preaching and the Modern Mind (New York: Hodder and Stoughton, 1907), pp. 282, 283. P. T. Forsyth, The Person and Place of Jesus Christ (New York: Eaton and Mains, 1909); The Work of Christ, (London: Independent Press), 1st edition 1910; The Cruciality of the Cross (London: Hodder and Stoughton, 1910); Christ on Parnassus (London: Hodder and Stoughton, 1911); The Holy Father and the Living Christ (New York: Dodd, Mead and Company, 1898). See Bradley, The Man and His Work, p. 66. Forsyth, Positive Preaching, p. 5. See P. T. Forsyth, The Church and the Sacraments (London: Independent Press, 1949). The liberals based their belief on their perception that the Jesus painted in the Synoptic gospels did not give much explanation to the meaning of the cross. Forsyth argued that this was because the risen Christ explained it to his apostles after the fact. Rodgers, The Theology of P. T. Forsyth, pp. 103-131. Forsyth, Positive Preaching, p. 37. Forsyth, Positive Preaching, p. 13. Robert McAfee Brown, P. T. Forsyth: Prophet for Today (Philadelphia: Westminster Press, 1952), p. 71. P. T. Forsyth, “The Soul of Christ and the Cross of Christ,” London Quarterly Review, 116 (1911), 195-196. See William Ray Rosser, “The Cross as the Hermeneutical Norm for Scriptural Interpretation in the Theology of Peter Taylor Forsyth” (Ph.D. Dissertation, The Southern Baptist Theological Seminary, 1990). Forsyth, Positive Preaching, p. 200. Forsyth, Positive Preaching, p. 178. Forsyth, Positive Preaching, p. 184. Forsyth, Positive Preaching, p. 15. Forsyth, Positive Preaching, p. 146. Forsyth, Positive Preaching, p. 166. Forsyth, Positive Preaching, p. 41. Forsyth, Positive Preaching, p. 44. Forsyth, Positive Preaching, p. 79. ‘Protestantism is the crudest and most brutal plebeianism. People will not hear of there being any difference of quality between an apostle, a witness to the truth and oneself, in spite of the fact that one’s existence is completely different from theirs, as different as eating from being eaten’. – Søren Kierkegaard, The Journals of Kierkegaard (ed. Alexander Dru; New York: Harper & Brothers, 1959), 245. I wonder what the Dane would say if he spent a week or so with the average Protestant church today? Ouch! The fundamental issue, of course, is that of authority, coupled with a noxious and mendacious understanding of creaturely freedom. There can be no true freedom where there is no true authority. Where the latter is lost, the former disappears. So O’Donovan reminds us, ‘To be under authority is to be freer than to be independent’. – Oliver O’Donovan, The Ways of Judgment, 132. Commenting on Job’s three theological friends, Slavoj Žižek contends that ‘God is the only true materialist … [God] comes and says there is no transcendent meaning, everything is a miracle … there is no transcendent master, which is why I think we have to read Christ as a repetition of Job. What dies on the cross with Christ? What dies is not an earthly representative of a transcendent. What dies is precisely God as this transcendent master of the universe. What dies on the cross for me is the idea of God as the ultimate guarantee of meaning … The lesson of Christianity … of Christ … [is that] we cannot afford this withdrawal. When we are confronted with horrible things … holocaust, concentration camps or other similar catastrophes it is a little bit vulgar to say, “This only appears to us as a catastrophe because of your limited perspective, withdrawal back and you will see how it contributes to harmony, or whatever”. There is no big other! This is why I think this would be a kind of more materialist reading why Christ truly sacrificed himself. The message is “All we can do is here”; there is no father up there who takes care of it … It is not “Trust God”. No. God trusts us. All that can be done, we should do it. In this sense, with this incomplete notion of reality, … it opens up the space for freedom. There is freedom only in an ontologically unfinished reality’. While I generally do find Žižek to be a really stimulating thinker, what I find most disturbing here in this particular presentation is his notion of authority and freedom. To be sure, he never seems to challenge the relative need of authority in the area of sociality. However, if I have heard him correctly (and it’s a genuine ‘if’ on my part) when he comes to the purlieus of belief, of faith, the assumption is that we must abandon authority. It is at this point (though not at this point alone) that he so clearly betrays a failure to understand what constitutes a Christian notion of authority. For Žižek, authority is not a power but a force, a coercive burden to be shaken off rather than a love and true freedom to live in. Employing Forsyth here, I want to suggest that Žižek’s notion of authority is not ‘the source of liberty, but its load. It is something which sooner or later must produce impatience and not bring peace. It is something to be renounced as men pass to spiritual maturity. The more spiritual they consider themselves, the less they like to feel, think, or speak of authority’. There is no sense in Žižek’s notion of authority of one who employs his authority to set people – indeed his enemies – free. Truly, ‘God chose what is low and despised in the world, even things that are not, to bring to nothing things that are, so that no human being might boast in the presence of God’ (1 Cor 1:28). This one who though he was in the form of God became the ‘low and despised’ one taught us that ‘whoever would be great among you must be your servant, and whoever would be first among you must be your slave, even as the Son of Man came not to be served but to serve, and to give his life as a ransom for many’ (Mark 10:43-45). Ben Myers, over at Faith and Theology, has posted a great post by Kim Fabricus on preaching. Well worth checking out. On a related note, here’s a list of points that Forsyth makes about the authority over (or source of) the Bible. Christ, so much as a preached Christ. The Bible is not so much a record of Christ as a record and a part of the preaching about Christ, which was the work of the Spirit and the apostles. There is no real collision between the Christ of the Gospels and the Christ of the Epistles. The apostles, and especially Paul, moved by the heavenly Christ, form an essential part of Christ’s revelation of God’s grace. 20. The Free Churches have yet to face the spiritual problem created for them by the collapse of an inerrant Bible and the failure of an authoritative Church. And the only key lies in the authority of that grace which called them into being as the true heirs of the Reformation, the trustees of the Evangelical tradition, and the chief witnesses of the Holy Spirit of our Redemption. Some of you may have been following the postings by Chris Tilling on Biblical inerrancy here and here. Not wanting to leave this debate entirely in the hands of the biblical commentators, and wanting to say something in response, I wish here to offer a (not the only, nor indeed a particularly full) theological perspective on this vitally important question. ‘I do not believe in verbal inspiration. I am with the critics, in principle. But the true minister ought to find the words and phrases of the Bible so full of spiritual food and felicity that he has some difficulty in not believing in verbal inspiration. The Bible is the one enchiridion of the preacher still, the one manual of eternal life, the one page that glows as all life grows dark, and the one book whose wealth rebukes us more the older we grow because we knew and loved it so late’ (Preaching, 26). So said PT Forsyth to his American audience in his Positive Preaching and the Modern Mind. It seems to me the debate concerning infallibility is at core one about the nature and object of authority and where that authority for faith and life is to be found. Notwithstanding the debates about terminology used, to my mind it is of great concern that people of faith should consider the ground of their faith a book, rather than in what that book testifies to. In some schools, this amounts to no less than bibliolatry. The Bible is not the Koran! An infallible book implies that our primary need is revelation, and that contained and conveyed in words. Whereas our greatest need is not intellectual but moral, not truth but grace, not revelation but redemption. I, for one, do not see a necessity for belief in the inerrancy of the Scriptures but, with Forsyth, I believe it should be difficult for us to not believe in verbal inspiration. I believe in that which creates the Bible, i.e. the gospel to which the Scriptures perfectly bear witness. And I believe that we must believe in the Bible’s finality, authority and inspiration. Donald Bloesch’s definition of inspiration is helpful here: ‘. . . inspiration is the divine election and superintendence of particular writers and writings in order to ensure a trustworthy and potent witness to the truth’ (Holy Scripture, 119). The authority of the Scriptures lies in the same place that the authority for life and the Church exists: in the gospel itself. What, then, is the authority in the church? The church itself? The ex cathedra statements? The magisterium? Existential experience? The authority is where it always has been, in the apostolic testimony to Christ. The authority is carried by the apostolic word, but that word itself is not the authority. What we have is the apostolic message as it has been committed to writing by the apostles, in what we know as the New Testament. So the question remains, do we believe what the apostles taught or not? The fact that we learn shape of the gospel from the Bible does not make the Bible an infallible witness, but a completely faithful one. (As an aside, why is it that so many of those who trumpet the inerrancy of scripture from pulpits either fail to use the Bible in their preaching or misuse it so severely? A wise preacher once said to me that you can tell what one’s view of Scripture is not from what one says about them, but rather from how one uses them.) The Scriptures are the authority, for no other reason than they are the definitive testimony to Christ. That would not imply that there is no further communication from God to us, simply that in what is written we have the certain word. All else is to be tested against that (1 Thess. 5:20-22; 1 John 4:1). So, ‘nothing beyond what is written’ (1 Cor. 4:6); ‘To the law and to the testimony: if they speak not according to this word, it is because there is no light in them’ (Isa. 8:20). As PT Forsyth put it: ‘Inspiration and Revelation are two very different things, and one mistake we have made has been to treat them as being co-extensive, if not identical. The first mistake, of course, was in applying such words to a book. It is said the Bible is a revelation from God, or the Bible is inspired. The statement is loose. The Bible contains God’s revelation (though in no dissectible way); what is the revelation is the Gospel, as some put it, or, as others would say, Christ, or the line of historic redemption. And, as to Inspiration, it is not, strictly speaking, the Bible that was inspired, but the souls of the men whose writings fill it. The more we dwell on this, the more we may feel what important consequences flow from the correction. The verbal, literal infallibility of Scripture goes down at once, for example, and with it so many of the doubts, or attacks, it has roused’ (Parnassus, 243). And again: ‘”Who shall tell me surely what to believe about Christ?” None can. No Church can. No book can; no saint, no theologian. None can but Christ Himself in actual presence-it may be without a word that I could report, or a theme I could frame-by overwhelming my soul with its greatness and its evil, its judgment and its salvation, in His invincible word of death, resurrection, and glory’ (Authority, 63). And again: ‘The inspiration is not infallible in the sense that every event is certain or every statement final. You may agree with what I say without agreeing with all I say. The Bible’s inspiration, and its infallibility, are such as pertain to redemption and not theology, to salvation and not mere history. It is as infallible as a Gospel requires, not as a system. Remember that Christ did not come to bring a Bible but to bring a Gospel. The Bible arose afterwards from the Gospel to serve the Gospel. We do not treat the Bible aright, we do not treat it with the respect it asks for itself, when we treat it as a theologian, but only when we treat it as an apostle, as a preacher, as the preacher in the perpetual pulpit of the Church. It is saturated with dogma, but its writers were not dogmatists; and it concerns a Church, but they were not ecclesiastics. The Bible, the preacher, and the Church are all made by the same thing-the Gospel. The Gospel was there before the Bible, and it created the Bible, as it creates the true preacher and the true sermon everywhere. And it is for the sake and service of the Gospel that both Bible and preacher exist. We are bound to use both, at any cost to tradition, in the way that gives freest course to the Gospel in which they arose. The Bible, therefore, is there as the medium of the Gospel. It was created by faith in the Gospel. And in turn it creates faith among men. It is at once the expression of faith and its source. It is a nation’s sermon to the race. It is the wonder-working relic of a saint-nation which was the living organ of living revelation. What made the inspiration of the book? It was the prior inspiration of the people and of the men by the revelation. Revelation does not consist of communications about God. It never did. If it had it might have come by an inspired book dictated to one in a dream. But revelation is the self-bestowal of the living God, His self-limitation in the interest of grace. It is the living God in the act of imparting Himself to living souls. It is God Himself drawing ever more near and arrived at last. And a living God can only come to men by living men. Inspiration is the state of a soul, not of a book-of a book only in so far as the book is a transcript of a soul inspired. It was by men that God gave Himself to men, till, in the fullness of time, He came, for good and all, in the God-man Christ, the living Word; in whom God was present, reconciling the world unto Himself, not merely acting through Him but present in Him, reconciling and not speaking of reconciliation, or merely offering it to us.’ (Preaching, 9-11). I remember once attending a packed wee (that means ‘little’ for those non-Scots) church to hear a preacher. I was at the back and could not see him, so I created a stack of Bible’s to stand on, that I might better see the preacher and hear the Word. I remember being told off for engaging in such ‘disrespectful’ activity. I complied, more out of embarrassment than anything else, but over the years I have reflected on what was happening here and the message that was given to me as a young Christian. They are many of course. But what was my reproofer saying about the Bible? Was it simply that I should respect it, and the church’s property? Or was it more? I’ve often wondered if the reaction would have been the same had I stood on a stack of hymnbooks. I’m afraid that in some places this may be even considered the ‘greater sin’. I know that standing on the word enabled me to hear the Word more clearly.